The castes, or “Varnas”, are the basis of India´s social structure and have existed for the past 3,000 years. The four basic castes are: the Brahmins, the Kshatriyas, the Vaishyas and the Sudras. It is said that the Brahmins came from Brahma´s mouth, the Kshatriyas from his arms, the Vaishiyas from his legs and the Sudras from his feet. Below these castes are the Dalits or “untouchables”. Belonging to one caste or another is marked from birth and transmitted from generation to generation, it being impossible for a person to change his caste throughout his life. Since they believe in transmigration and the Karma doctrine, in which one reaps the fruits of ones actions in this life or in others, each person is born into the caste to which he belongs in accordance with his previous acts in other lives. Only by a succession of reincarnations can a person advance (or drop back) in status. Only by demonstrating ideal conduct befitting his position in one life can a man reach perfection and reincarnation in a higher state in another. Each caste has its own duties and ethics as governed by the Laws of Manu. The social communities which in fact organize Indian society are the Jatis (subdivisions of the Varnas or castes). There are thousands of Jatis in India. They control the country´s social, economic and political life. Everything is regulated by a complex system of privileges and obligations for each caste. The barber goes to cut hair and shave the members of the family; the dhobi washes their clothes; the carpenter makes ploughs and doors. When there is some ceremony the Brahman is called. The Jatis are inbred; their members can only marry individuals of the same Jati. 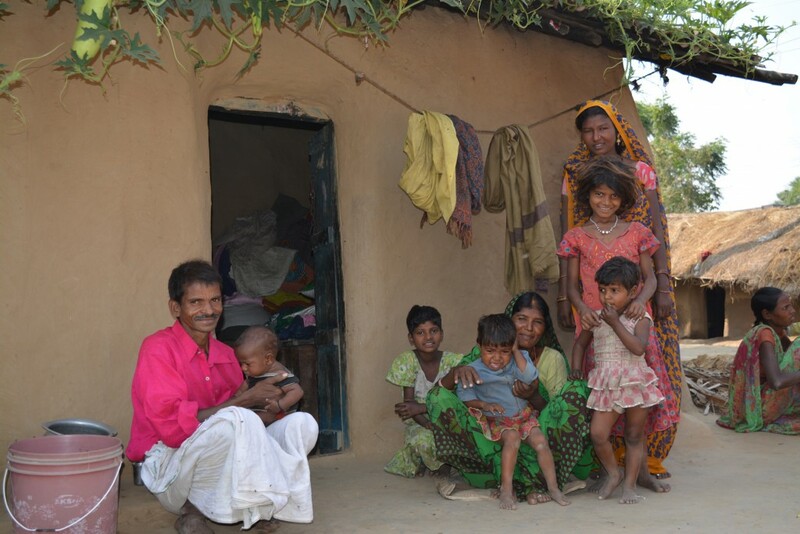 Besides inheriting a caste or Jati, each member in his infancy has taken on the values and rulings of that caste. The Jati is a large family. After the immediate family, the Jati is the community which integrates the individual in society. This provides its members with security. The Jatis are supportive; its members help each other in weddings and funerals. They control the way of life of their members but also offer support when this is needed. The Jatis together with the immediate family are the mainstay of these people and their whole life is conditioned by them: their social relations, professions, marriages, etc. Below these four castes are those excluded: the “untouchables” so called because physical contact with them is avoided as they constitute the lowest form of society. They are considered unclean by birth and therefore unworthy to occupy a position in the legendary caste system. Gandhi called them Harijans, or Sons of God, but they prefer to call themselves Dalits (the Oppressed). Their normal work and way of life has stigmatized them. The untouchables are those who cremate and handle dead bodies; leather workers too are untouchables since leather is the skin of dead animals and considered unclean, laundry men also as among other things they wash away menstrual blood, street sweepers because they are in contact with the rubbish. Their customs are much more lax. Alcoholism is common among them as is sexual promiscuity and a lack of cleanliness. There is a vicious circle here where these habits prevent them from being given consideration by others and this lack of respect anchors them in turn to their way of life. In the villages these Jatis live apart from the rest of the population and form their own society. Often they are not allowed to use the same wells as the rest of the village and until recently it was forbidden for them to enter the temples. Any physical contact with them involved a cleansing in a bath. Although the situation has changed considerably in this respect, particularly in the cities, they are definitely still treated badly in general and often occupy the lowest types of jobs. In states like Bihar, one of the most backward in all India, a large number of Dalits are farm workers with no land of their own, enormous masses of people exploited and living in terrible poverty. The “untouchables” are victims of rapes, brawls or murders by members of higher castes. Around 90% of the poor people and 95% of the illiterate in India are Dalits. Some 40 million people suffer forced labour in order to pay off debts contracted in the past. Of these 40 million, about 15 million are boys and girls who work in conditions of semi-slavery for miserly wages. Half the Dalit boys (and 64% of the girls) cannot complete their primary education as they are rejected by the teachers. Crimes against untouchable women are especially rife. They are often raped or beaten by men of higher castes, landowners and the police but these women have no rights. Bihar is the most highly populated State in India with 82 million inhabitants in an area equal to about half of Germany. This State is immersed in economic chaos and social conflicts. It is the that with the highest crime rate (14 murders per day and a kidnapping every 4 hours). The “untouchables” represent 15% of the State’s population but they own less than 2% of the cultivated land. This inequality causes social tensions which frequently give rise to clashes between landowners and the Dalit farm workers. Bihar has the lowest literacy and renta per capita rates of all India, being the most backward in every way. A man can travel kilometres looking for work to earn 50 rupees; but these jobs only last 4 months while for the rest of the year there remains hunger and misery. If children go to school this does not mean they receive education. The school is often closed while the teacher, a landowner from a neighbouring hamlet, prefers to spend his time supervising his farm work or other business rather than teach the children. Although India’s 1950 Constitution forbids caste discrimination and social ostracism, atrocities committed against the “untouchables” are very common. While Dalits are reserved 22% of State jobs, places in universities and other privileges, in rural areas or States such as Bihar, injustice to the Dalits is common. For all this and while we respect Indian traditions and understand how deeply rooted their beliefs are, we want to give the Dalit children the opportunity to receive education and become dignified individuals through the teachings in our school.